When working on a large construction project like a stadium, school, or restaurant, there are a lot of factors to take into consideration. Not only do you need to think about the layout of the building, but you need to develop a plan for bringing it to life – which usually means construction crews, material costs, and paid labor. These things in addition to weeks or months of construction usually add up to a hefty price. However, not every aspect of your build has to be expensive. Using prefabricated materials – such as prefabricated stairs – in your next building project can not only save you time and money, but boost all around efficiency. In fact, the usage of prefabricated materials can reduce installation labor costs for most projects by up to 10%! This is due to faster installation and a reduction in the number of laborers involved. Since prefabricated stairs are assembled in their own facilities, there’s no need to worry about on-site mishaps. Manufacturing these products beforehand also helps reduce the need for certain site resources like elevators or docks – which can help decrease the potential for on-site injuries, too. 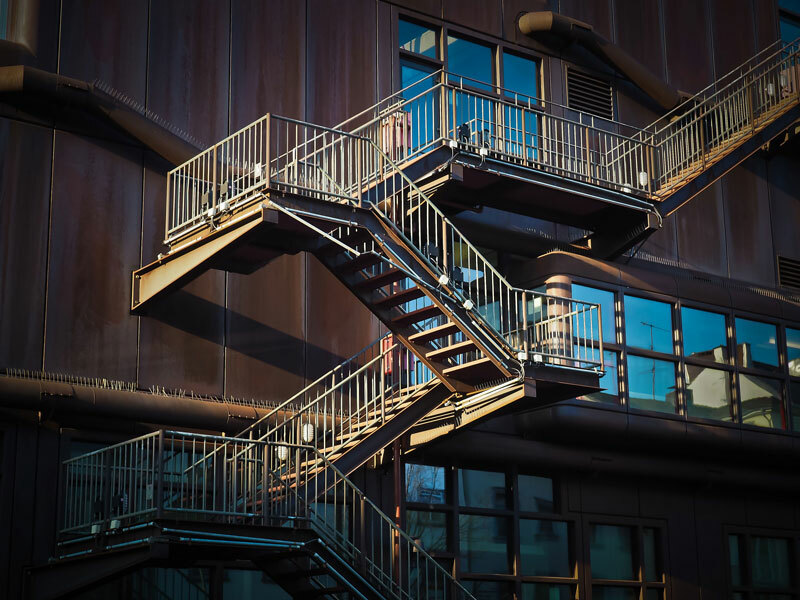 Taking these benefits into account, it’s no wonder that so many companies are choosing the route of prefabrication – and prefabricated metal stairs especially. If you’re curious about how much prefabricated stairs can save you and your business, feel free to contact us today! After all, even with prefabrication, we know every customer is different and the cookie cutter approach doesn’t work. And here at Pinnacle Metal Products, our experts will work with you to ensure that you get the perfect stairs for your building. Whatever those stairs may be.